October | 2016 | LIT.GAZ. Novels get made into films. Sometimes we like the film version of a book we know well, sometimes it’s awful. But how much thought do you give to the transformation that takes place? The two media are so radically different. The printed text relies on verbal description to create place, setting, atmosphere: a film can do this in seconds, perhaps much more effectively, with added music and sound effects. A novel can take us deep inside a character’s mind and thoughts: how do you do this in a film? And what difference does any of this make, anyway? I have always liked the film of The Name of the Rose. Sean Connery works as William of Baskerville. The locations and the use of light create a very effective sense of atmosphere; the library is superb and the apocalyptic ending is marvellously done. And yet, only after watching it is it possible to grasp how much of Eco’s superb novel is missing: the stunning erudition, the theology, Adso’s reflections. The film is faithful to the original, but only so far. Similarly, Gunter Grass’ pre-war Danzig is superbly recreated, both visually and atmospherically by Volker Schlondorf in his film of The Tin Drum: the subtly growing Nazi menace creeps up on everyone, and we are not spared the horrors, but the film is only half the novel. It doesn’t matter whether you feel that it’s the better half, my point is, it’s hardly Grass’ novel! There are more film and TV versions of Sherlock Holmes than you can shake a stick at. Some are passable, some truly dire, some hardly Holmes at all, but I’m of the generation that was captivated by Jeremy Brett’s mannered performances in the 1980s for Granada TV. Fantastic attention to period detail, some re-arrangement of plots for dramatic effect, but fidelity to Conan Doyle’s original is perhaps easier to achieve when we’re (only) dealing with short, detective stories. I have singularly failed to watch Gregory Peck’s performance as Atticus Finch in the film of To Kill A Mockingbird. We set out to watch it in class one day, but found the opening so crass, so clumsy and so unconvincing after our reading of the novel that the class virtually booed it off-screen: I stopped the video after about fifteen minutes and we gave up… It was instructive to watch and compare the two versions of Lord of the Flies: the aged black and white version made with non-actors that was so faithful to the original yet so ineffective twenty years after it was made, and the horrendous ‘updated’ US version with swearing, rewritten plot and so many other pointless alterations bore almost no resemblance to the original. Perhaps the most successful – or do I mean accurate? – film version of a novel that I can recall is Richard Burton’s last role as O’Brien in 1984, and John Hurt’s superb performance as Winston. Orwell’s vision of London is visualised stunningly effectively, apart from the smells, of course, which Orwell himself was only able to describe in the original. Fear, paranoia, menace all loom out of the screen; even excerpts from Goldstein’s book – often skimmed by reluctant readers – are read into the film. Brilliant; closest to being a film of the novel rather than a version of it. Unless you know better? When I was ten, I found a pound note in the street. Brought up to be honest, and because it was such a lot of money in those days, I took it to the police station where they kept it for three months, and, after no-one had claimed it, returned it to me! 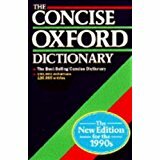 My dad contributed the remaining necessary five shillings and I bought the latest edition of the Concise Oxford Dictionary (a requirement for the grammar school I was about to attend): thus began my relationship with dictionaries. The Concise Oxford sufficed until I got to university, where it soon revealed its limitations – it didn’t have enough words in it – and, with an early holiday wage-packet, I treated myself to the Shorter Oxford English Dictionary in two large volumes. Even though the edition was forty years old, it didn’t matter: the words I was looking up as a student of English literature were a lot older than that, and I held on to those two very useful volumes until a couple of years ago. At some intervening point when flush with money I splashed out on the reduced size, twenty-volumes-in-one edition of the OED. In retrospect, this was an expensive error as it’s had relatively little use, and we were just on the verge of the internet, and the changes to reference works that was about to bring. Through our local library I have free access to the OED online, on those relatively rare occasions where I come across a word I haven’t met, or need to explore the etymology of a word I do know. It’s one of the great boons of the internet, along with wikipedia. Crossword addicts will know, however, that in our field, the Oxford dictionaries don’t really cut the mustard; they don’t contain many of the archaisms and Scots words that fiendish compilers like to use. 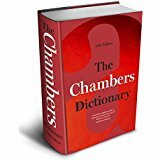 So Chambers Twentieth Century English Dictionary was added to the bookshelves – it had to become the Chambers English Dictionary after 2001, of course – and for my money it remains the best single-volume dictionary of our language, and has been a boon on many occasions when I’ve wrestled with the Guardian Prize Crossword of a weekend or a bank holiday. You see, for crossword completion you need the paper pages to be able to turn them over as you scan for the range of possibilities that might fit the gaps in the grid, and match the definition part of the clue: you just can’t do this effectively onscreen or online. I also have my own personal mini-dictionary: for many years I have collected the words that are new to me as I’ve come across them in my reading; I’ve added them to my notebooks and eventually jotted down a definition alongside. 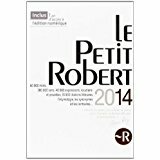 My other trusty companion is a recent edition of Le Petit Robert, which is a bit unwieldy but a worthy French equivalent to Chambers and very useful if I’m reading something challenging in French… although reaching for the iPad and hitting the Word Reference app is often a tad easier. I have three distinctive uses for a dictionary: helping with crosswords, looking up the meaning of a word that is new to me, and exploring the etymology of a word when curiosity gets the better of me. And, as you will infer from the above, online is gradually winning, but won’t help with the crosswords. A chance, passing reference somewhere recently sent me back to this novel, which I haven’t read for more than twenty years. I was instantly reminded of Günter Grass’ The Tin Drum, a comparison which I don’t think had occurred to me on previous readings, and which got me thinking. Along with Heinrich Böll, these are three writers particularly associated with German attempts to reconnect with a sense of conscience and morality as they explore the cesspool of Nazism and its effect on the German people in various ways. It’s easy for a non-German to call this a necessary task; it’s certainly an incredibly difficult one, and I have a certain admiration for those who have persisted over the years. 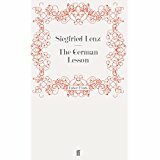 Grass and Lenz share the fact that they originate from territories the Germans lost at the end of the war: Grass’ hometown of Danzig, an international city, has become Gdansk, in Poland, and Lenz’s hometown Lyck is now Elk in the Masurian region of Poland. The rights and wrongs of this ethnic cleansing are far too complex to elucidate here. 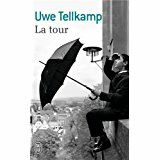 The setting of The German Lesson is Schleswig-Holstein, the area around the town of Husum near the border with Denmark, and gives the novel a far bleaker feel than Grass’ novels: small settlements and flat wind-swept coastlines are no match for the international and multiracial city of Oskar Mazerath’s story. Grass’ novel is narrated by a boy/man who is the inmate of an asylum; Lenz’s narrator is a juvenile delinquent incarcerated in an institution. It’s interesting that those who were children in the Nazi-time are not able to become ‘normal’ functioning adults – even Grass himself kept his forced membership (he was 14 at the time) of the SS a secret almost until his death, to the shock and horror of many. Lenz puts the idea of duty under the microscope. We see Siggi’s father’s idiotic and overbearing sense of it poisoning all family relationships and friendships, tipping him into mania. Max, the painter, sustains his duty to his art through a series of invisible paintings in a cat-and-mouse game with the policeman, that we aren’t always invited to approve of, I think. And Siggi the delinquent is punished for not writing his essay on the joys of duty by the prison governor, at which point he makes it his duty to explain himself – through the novel, demonstrating a similar, if less harmful (?) obsessiveness to his father. It’s a far more pessimistic novel than I remember: Siggi the delinquent cannot live a straight life though he may wish to, and has nothing to look forward to outside the juvenile offenders’ institution; can he even have a clear picture of what an ordinary life might be? Irrevocably shaped – perverted and twisted by his father, and equally, though with out violence and horror, cajoled and patronised into accepting another duty by the governor – what chance has he? There’s something important about the purity and primacy of an author’s text: once s/he has ‘given it away’ by publishing it, making it a public property, it becomes open to supporting a multiplicity of meanings and interpretations, and not all of those are known to, or intended by, the author. This is often a very good thing, enabling, as it does, any reader to make a reading, perhaps an original one, as long as they can support their interpretation (cries of ‘evidence?’ used to echo around my classroom). I treasured those – quite rare, but very gratifying – moments when a student came up with an idea about a word or phrase that had never occurred to me, or that I’d never read about. My research into science fiction took my questioning of attitudes, perspectives and literary criticism itself even further, as I examined a wide range of works (criticism and fiction) written from a feminist perspective, and also studied a genre of writing which many critics regarded as a somewhat inferior genre, not really worthy of serious literary study – of course, I didn’t agree with this judgement, and had to make out and justify my case…a thesis followed by a viva examination with a good cop and bad cop examiner is quite something! So, I think I’ve come round to the idea that criticism is a useful tool for making us think, or at least introducing us to the idea that it’s possible to see more than initially meets the eye in a text that we’re reading, but that we need to be as wary of the critic as we are curious about the original text. Also, as I’ve grown older I’ve begun to see history repeating itself, as it were: a new generation of freshly trained and qualified critics – just like I was once! – comes along to revisit the same texts, and similar issues, in pretty similar ways: every generation re-invents the wheel, as it seeks to make its living, and a few grains more are added to the sum total of our knowledge and understanding. There’s a ridiculous amount of information contained in a map, and depending on how well-drawn and coloured it is, you can do a pretty good job of visualising an area, although I will admit that Google Earth does a just as good if not better job pretty instantly. Town, street and metro maps are different, and just as fascinating. And then there are the maps in other languages… early Arabic maps of the world which look wonderfully familiar until you look at the writing. A Polish relative, back in communist times, gave me a road atlas of the Soviet Union, not because it was something that I’d ever use, but because it was something he’d managed to buy, and could offer as a gift, when finding presents for people was really hard. 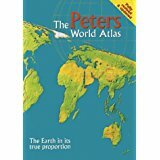 I treasure this volume, on shoddy paper, in Cyrillic script, with vast tracts of the country missing because there are zero roads there (can you imagine that?) and places where you can follow a dirt track for 500+ kilometres until the road just stops, and then have to turn round and head back the way you came. Atlases have also become excellent at conveying much more than just geographical information, as new generations of cartographers have developed the art: conflicts, migrations, wars and much more can be very clearly represented. I’m thinking of some of the remarkably informative maps published in papers like Le Monde Diplomatique, which occasionally publishes a thematic atlas devoted to a topic like the environment… There’s the astonishing Peters projection atlas, which presents the entire world at exactly the same scale throughout, and manages to equalise the land areas visually too, so that although parts of the world look rather distorted (and we all know that putting a spherical word onto flat paper can’t really be done) the whole world is fairly and equitably represented, with none of the bias to the West, or the US or the developed world that we see in all other atlases. I love old atlases especially, too, although too expensive for my pocket. I do have a 1919 Daily Telegraph Victory Atlas which is colossal, and built in the old-fashioned manner where every double-page spread is individually pasted and sewn into the binding so there are no minute gaps or discrepancies at the centre where nowadays two pages join… and I think of the incredible labour involved in redrawing so many maps and re-labelling so many towns and cities at the end of the Great War as new nations were born. 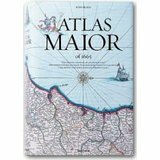 My biggest treat is probably Taschen’s marvellous reprint of (selected sections) of Joan Blaeu’s humongous seventeenth century Atlas Maior. It’s a work of incredible colour and beauty, and you get a picture of a half-discovered world, with the lands Europeans knew well delineated in great detail and accuracy, and those half-known, unexplored areas sketched in vaguely, half-accurately – but they are there and you know that there were intrepid explorers hurtling about the globe eager to fill in the gaps. 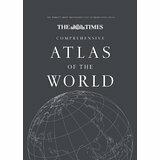 I’ve never been able – or wanted to – sit and read a dictionary or an encyclopaedia, but I’ll happily spend an entire evening turning the pages and poring over a good atlas.